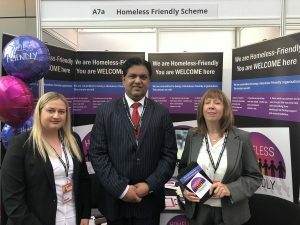 Homeless Friendly received a very positive reception at The Labour Conference, over 40 delegates and candidates signed up to the Homeless Friendly Individual Pledge. Organisations and Councils have shown interest in ensuring that they are Homeless Friendly. Copyright © 2019 Homeless Friendly. Powered by WordPress. Theme: Spacious by ThemeGrill.